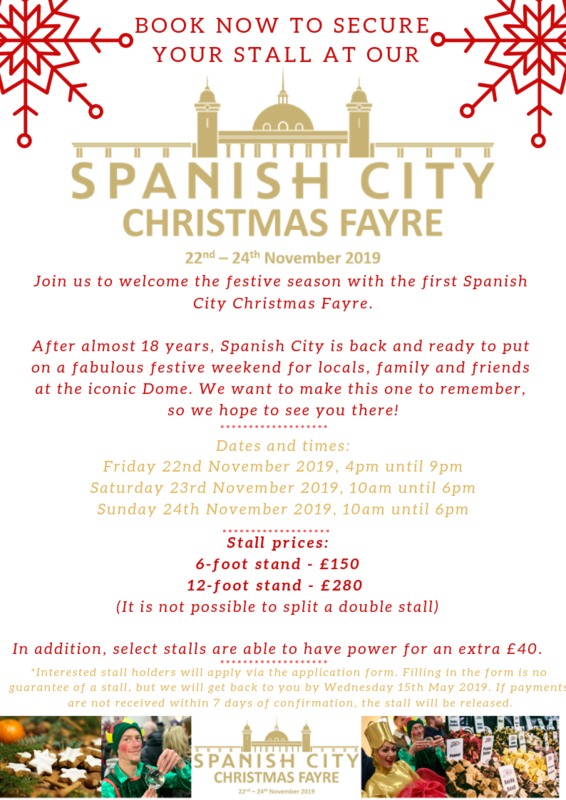 Join us to welcome the festive season with the first ever Spanish City Christmas Fayre, taking place from Friday 22nd – Sunday 24th of November 2019. With an array of food producers and crafty businesses, this is the perfect chance to start your Christmas shopping early and enjoy a fabulously festive weekend with friends and family at the iconic Spanish City. We want to make this one to remember, so we hope to see you there! *Please note that tickets are not available to visitors yet, only potential stall holders.